Noida Extension has emerged as an upcoming residential hub with a promising future prospect and better life style. Real estate market in Noida Extension is experiencing an upward trend. 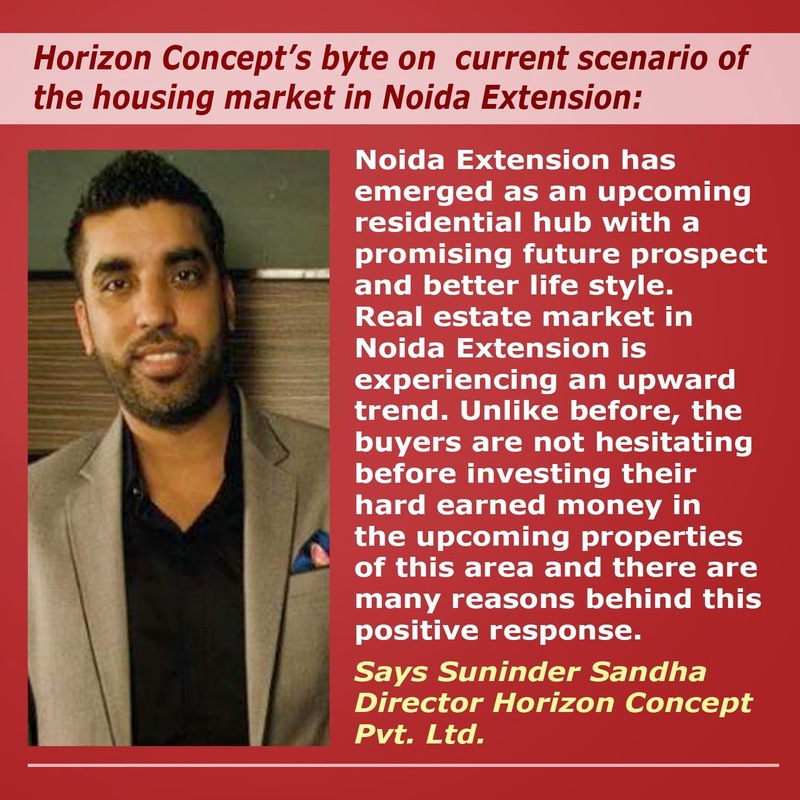 Unlike before, the buyers are not hesitating before investing their hard earned money in the upcoming properties of this area and there are many reasons behind this positive response Suninder Sandha, Director Horizon Concept Pvt. Ltd.